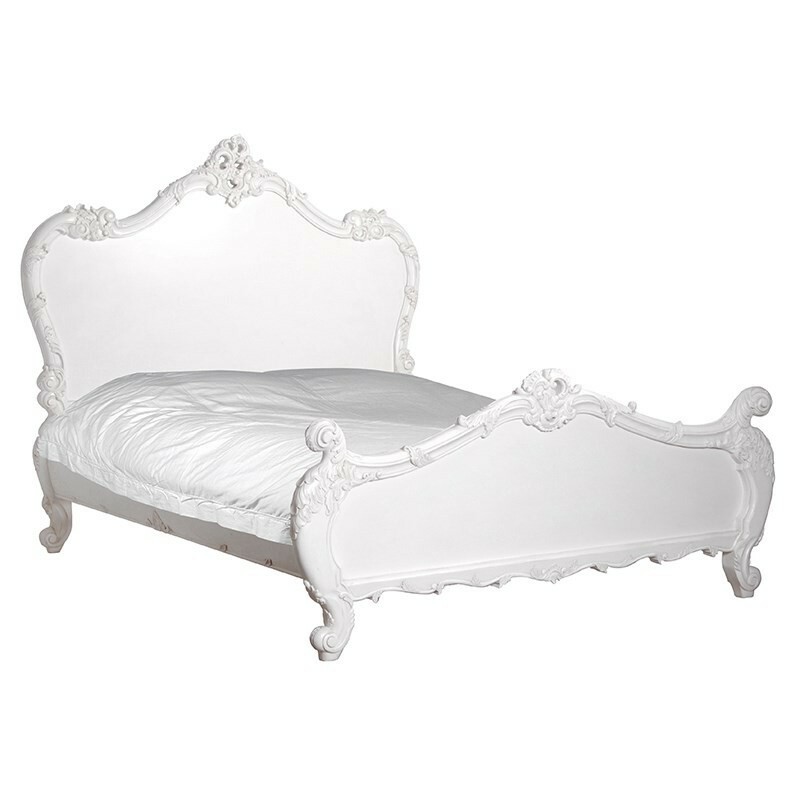 Charismatic and classically French, our Rochelle Noir carved French bed is perfect for a plethora of different bedrooms. Boasting elegant and climactic carved details, this bed is sophisticated and could work well as a feature piece in both modern and traditional homes. Constructed from mahogany, this bed is painted in matt black and gently aged with a light grey patina, giving it that heritage appeal. Match this piece with our Rochelle Noir French style bedside tables or contrast it with our other painted or mirrored bedside tables to create a style you’ll love. Note: This item may require assembly upon delivery at an additional charge, please enquire with our sales team.